STACY NELSON: From the TODAY Show to KTLA, Tennessee Mornings to the Hallmark Channel, Stacy reveals The Best for Less. She is an Art Director, Decorator and Budget Design Specialist for television, film, and special events and best selling author of “10 On-Set Secrets”, style guide series on fast, affordable decorating and easy entertaining. 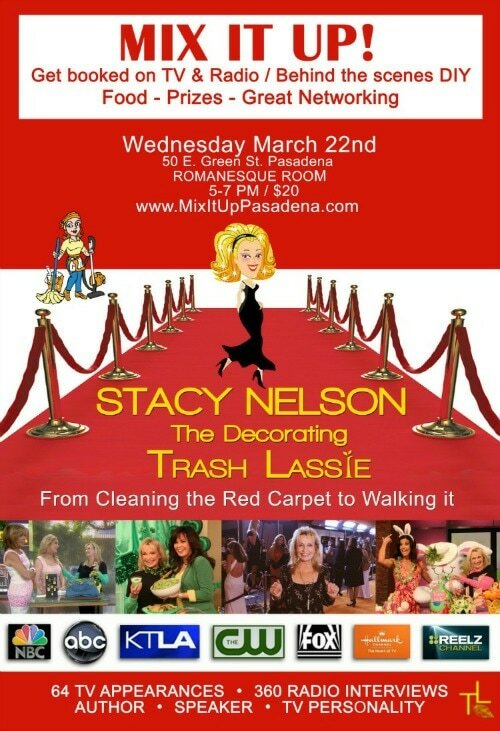 Stacy became known on-set as the decorating TRASH LASSIE for her ability to deliver exceptional style using low cost materials, which looked to others to be boxes of trash. She is often referred to as the “Master of Faster” for her ability to quickly and beautifully transform any environment, decorate for a holiday, or spontaneously produce a spectacular party. Stacy has pioneered inventive ways to up-style inexpensive materials, customize cookie cutter décor and repurpose unusual items. With extensive in-depth experience in television, film and award shows, Stacy holds 154 hours of primetime program credit, has contributed to two Olympic opening ceremonies, and designed and dressed countless productions, events and network specials. 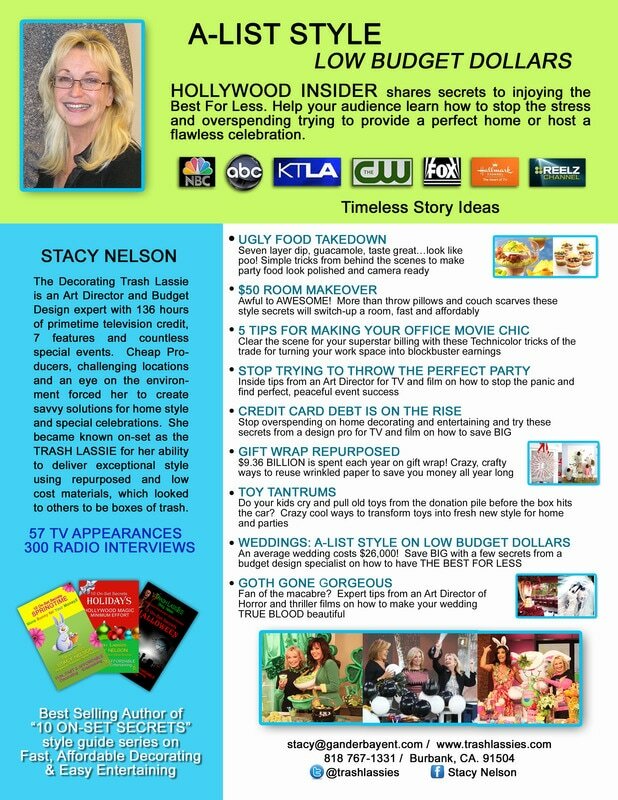 She has made eight appearances on the TODAY Show, is a regular guest on KTLA Los Angeles, and speaks at events and conventions across the country on money saving solutions, as well as the journey that has taken her From Cleaning the Red Carpet to Walking it! Springtime Book Promo - Free Autographed book to first 20 who purchase their ticket to MIX IT UP! online.